The income approach always needs to be included in a marina appraisal. It’s how the market works and thinks. It’s not an owner occupied property like a single family residence… it’s an investment in a business, so the report isn’t exactly civilized if it’s excluded. I laugh when I seen a marina income approach with only four, five or six expense line items. 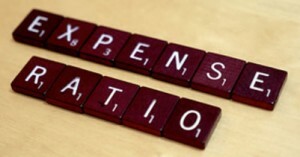 Can the expenses of any business be completly shown in so few line items? It’s not possible, yet I’ve seen this in many marina appraisals I’ve reviewed. This isn’t investment grade real estate where the tenant pays most of the expenses. It’s not vacant land where you only have “caretaker” expenses like a management fee and real estate taxes. You should see between one and three dozen expense line items… if not, it’s a bad marina appraisal. Don’t blame me… it’s just the nature of the business (note the operative word business here). Remember in Part 1 when I said I’d be saving a few tricks for my litigation bag? This is one of them. However, what I will say is that a 35 or 40 percent operating expense ratio does not reflect the fact that marinas are operating businesses. That’s the operating expense ratio range I’d expect to see for new apartment construction; not even older apartments have a ratio this low, as any perusal of an IREM income/expense report will show. The payroll line item alone should tell you that you won’t be in that range (if it’s included at all in the appraiser’s projections). That’s as far as I’ll go on the topic. The rest stays in my bag. Oh… sorry… perhaps I should have said cap rate. Then again, maybe I was right the first time. Most of the cap rates you’ll see in marina appraisals are done based on the band of investment or mortgage equity techniques. When there’s no marina financing, using them is just plain misleading. The results are equally so. Put that bad appraisal in the shredder. As I indicated, I like to get cap rates by surveying those in the market. 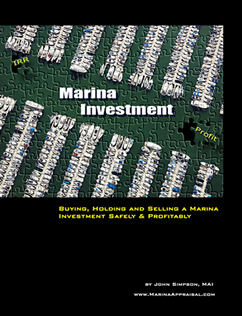 I’ve surveyed hundreds of marina owners and professionals and received upwards of a hundred responses. Sometimes the listings will give me support, though the range in asking prices tends to be too high in a recession and the asking cap rates too low. You can tell by how long the marina has been listed in many cases. When everyone is telling me a tight cap rate range, I’ve got support from the market participants who are the market. In a recession when sales don’t exist, what’s more relevant and market supported than that? 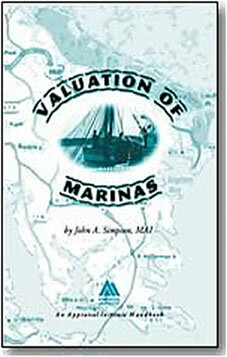 Another tip for telling a bad marina appraisal is the length of the income approach. Three, four or five pages just doesn’t cut it. Marinas are too complex to explain in so few pages. Rather than doing a cost approach or sales comparison approach when there aren’t any sales, time management dictates that the appraiser should spend most of his/her time on the income approach. After all, that’s how the market thinks and reacts. It’s better to have one really good and relevant approach than diluting the result by chasing two or three approaches when there’s only one reliable approach… and everyone in that market knows it. When it comes to the income approach, bigger is usually better. In Part 7, I’ll summarize all the things you should look for to determine if an appraisal is bad or not.